Born in 1966, Hiroshima. Graduated from Kanazawa College of Art in 1995. Currently residing in Kanazawa. 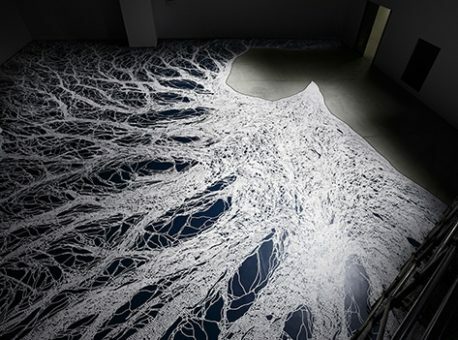 With memories with his late sister as the theme, his installation uses salt symbolizing cleansing/purification in Japan. 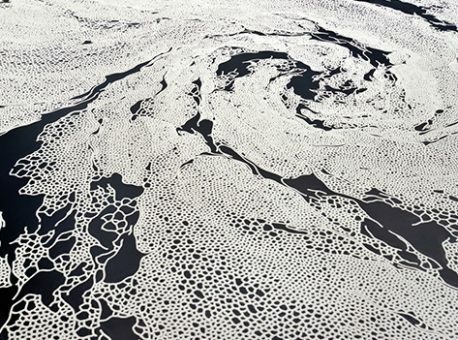 Involving long hours, he draws large-scale patterns including labyrinth and swirls. 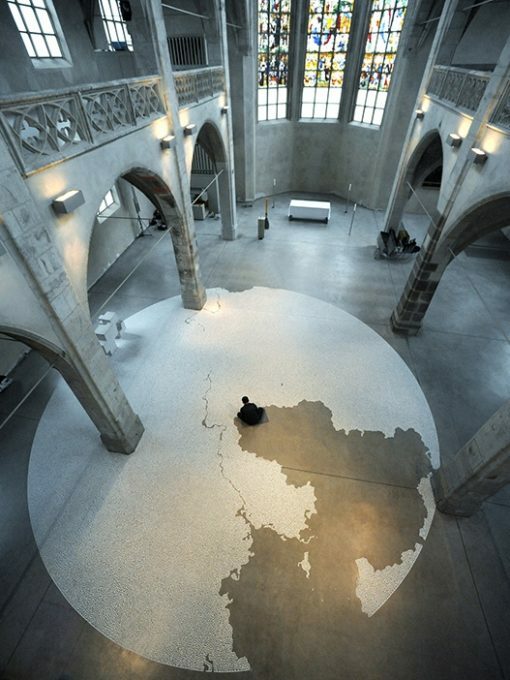 On last day of exhibition, he destroys installation with audience and returns salt to sea. Past exhibitions include MoMA PS1, State Hermitage Museum, Museum of Contemporary Art, Tokyo.